China Peak is located on the western slope of the Central Sierra just east of Fresno. 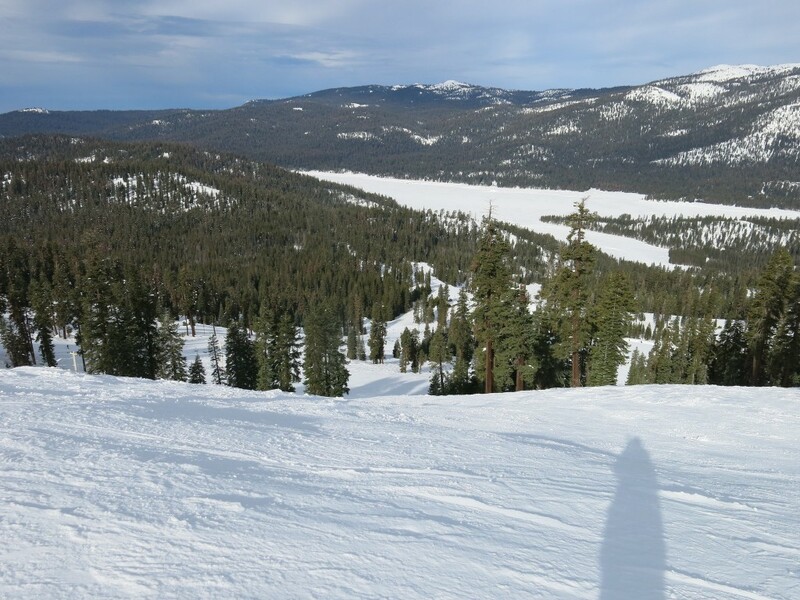 It caters mostly to day skiers from the Central Valley of California. 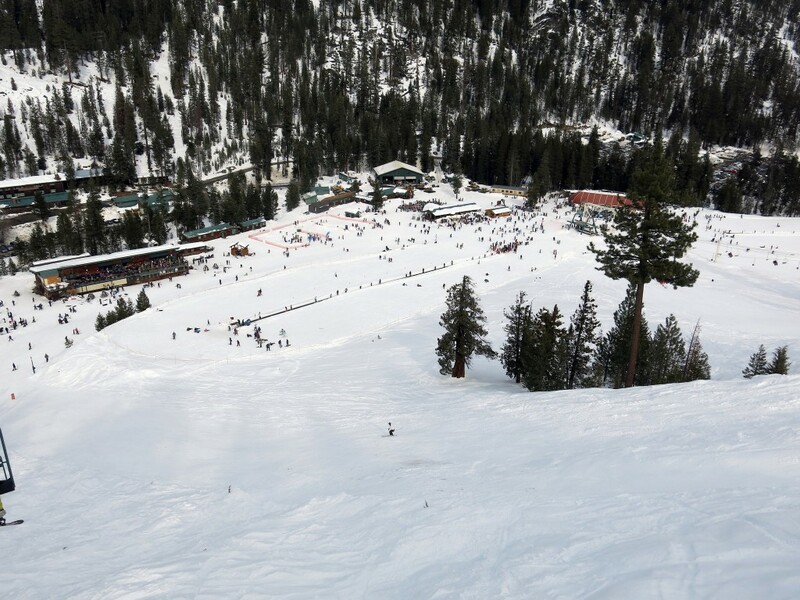 China Peak was the last of the 13 California resorts on our list that we had to ski for the project. Ironically it’s one of the closest resorts to our Bay Area home, but due to 2 years of limited operations because of the drought, it took us 3 years to finally get to it. 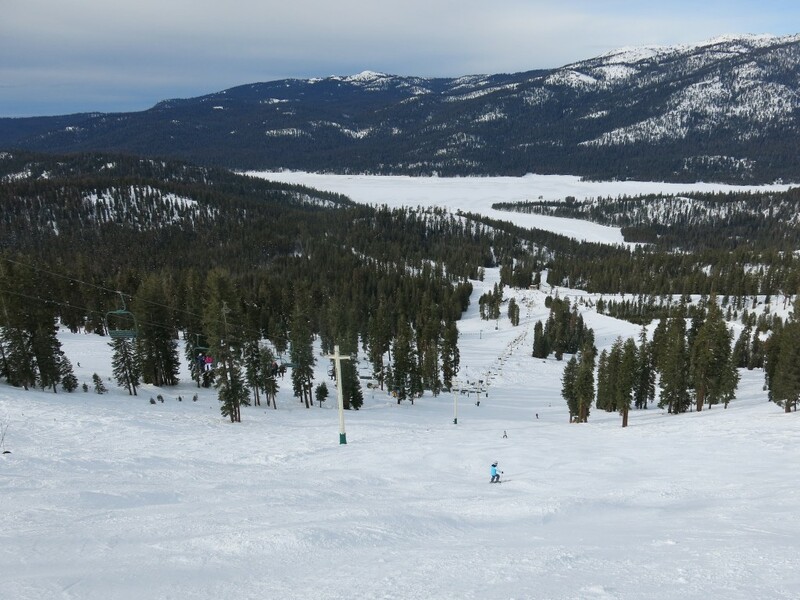 They claim to have 150 acres of snowmaking, but I haven’t seen any evidence that they can really make a go of it without natural snowfall, so there must be a problem there. We skied it in mid January, which theoretically should be the coldest time of the year, but we still managed to hit a warm spell which made for some icy conditions in the morning. 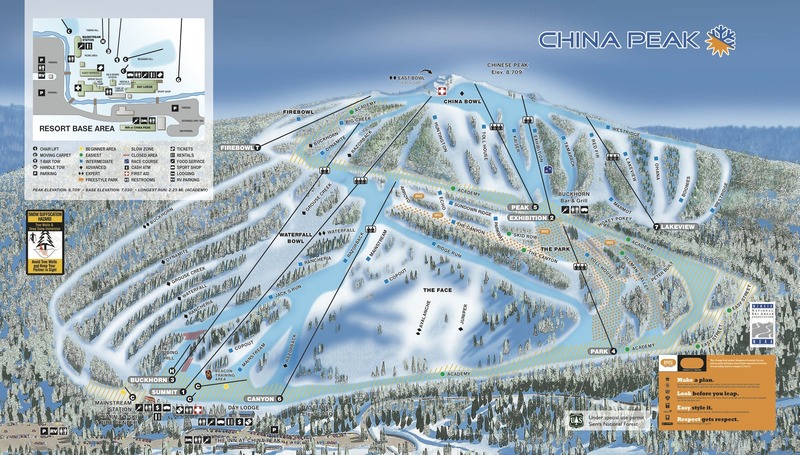 China Peak is fairly low at only 8,600′ at the summit, and it’s 140 miles south of Tahoe which lowers the effective elevation even more. Still, we had a great time and were pleasantly surprised by some of the things we found there. Being Martin Luther King weekend, it was crowded, but that is expected and does not factor into this review. In fact we heard some lift ops saying that it was the most crowded day they had ever seen, but there are 11 lifts and we rarely waited more than about 5-minutes. Ticket sales seemed to be completely overwhelmed with the crowds, so we didn’t get our tickets until close to 10AM. This is a good time to mention the fact that the base area is expansive with lots of random old smaller buildings instead of the usual one or two large buildings that handle most of the functions. We skied it from left to right, so starting on lookers left, there is a triple chair that is the only chair that covers most of the 1600+ vertical feet. There aren’t any high speed lifts here, so it takes some time being the longest chair on the mountain. It’s also the most popular chair, so we always waited in line there. It was funny watching the 2 lift line attendants try to control the crowd which clearly was not very familiar with how the whole “ski lift” thing worked. There are some great winding groomers on this side that start out steep, flatten a bit in the middle, and end up steeper at the bottom. 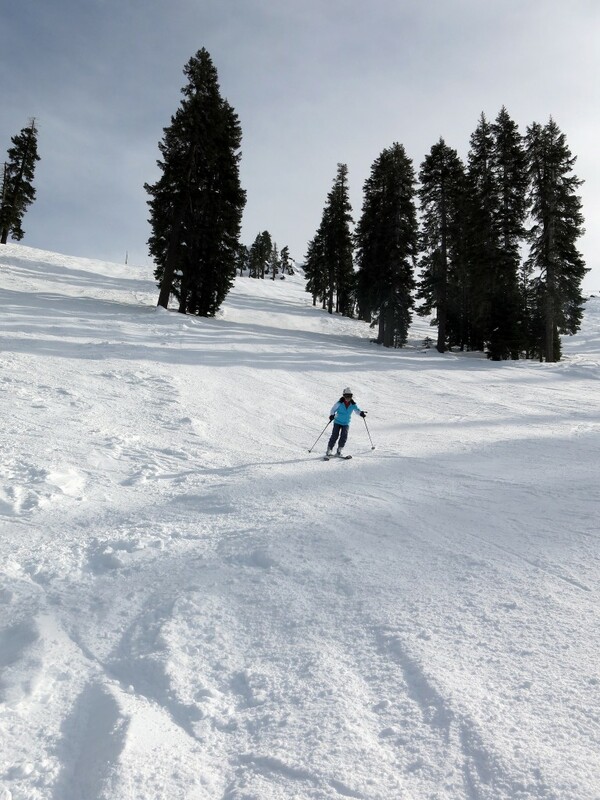 There are some great looking steep runs to skier’s right of the triple chair, but due to bulletproof conditions off-piste, we didn’t get to ski them. There’s also a ton of great looking tree skiing, with pretty much all the trees on the mountain being widely spaced enough to ski. 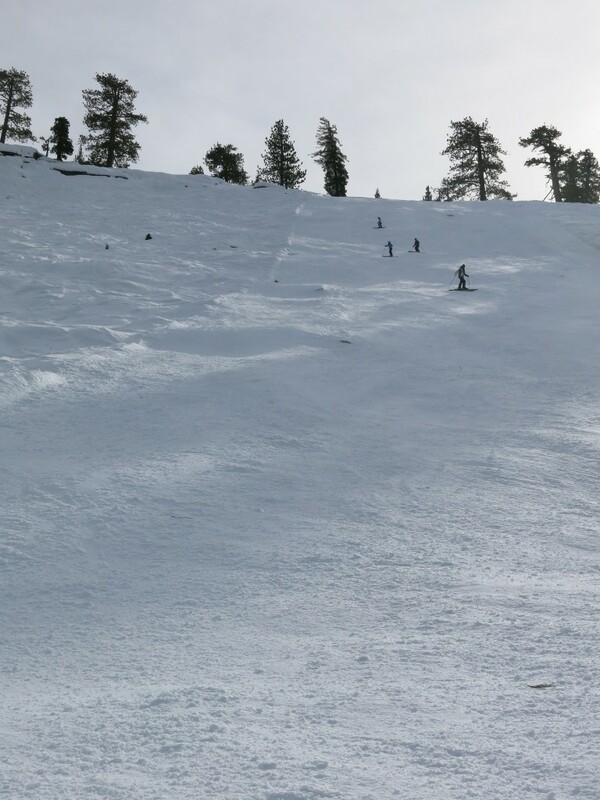 Next up we hit the steeper stuff on the lower right of the mountain. Kudos to China Peak for grooming one of the quite steep black runs, which was almost too steep to ski safely given the somewhat icy conditions. There were a bunch of people giving it a go though. I wish we could gloss over the lunch experience, but it deserves special mention as being the very worst lunch experience of all of the 50+ resorts we’ve skied on the list. The line was huge with lots of unhappy customers, the building was too small and badly in need of renovation, and the food choices were very limited. We managed to score a couple of pieces of decent pizza, but that was the only edible looking food we saw there. 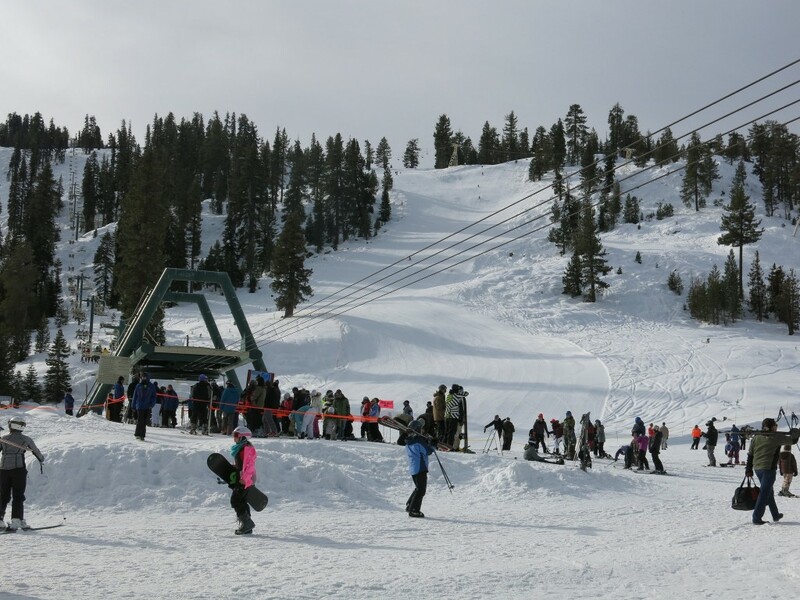 Of course food service is a very difficult proposition for a resort that sees the variable crowds and lack of snowfall that China Peak does, so this is not unexpected. Pack a lunch if you go. After lunch we skied the lookers upper right quadrant of the mountain, which is intermediate heaven. 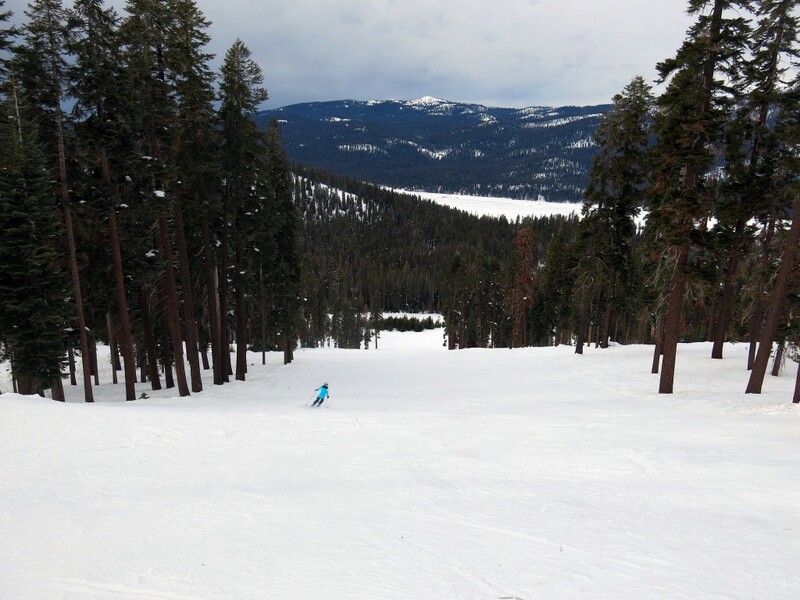 They have 10 intermediate runs served by 3 lifts that go from steeper on the left to less steep on the right. The runs are of remarkably consistent pitch and are a lot of fun. China Peak has an odd draw for us, so even though there are a lot of negatives we will probably go back some day. We thought it would be fun to go there mid-week and stay overnight in the parking lot with our RV. It’s a unique place that takes us back to our skiing roots.